A scene from April 15’s rally to save the film tax credit. 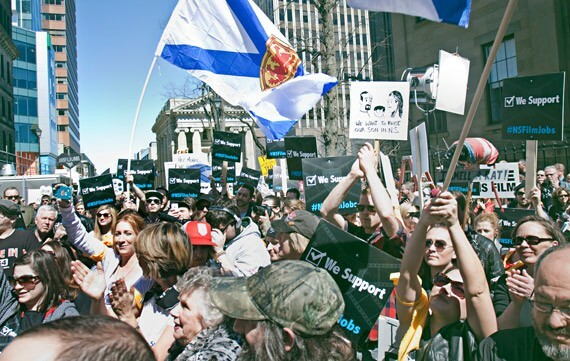 Last week, a new provincial budget was announced that could put thousands of jobs in Nova Scotia's film industry in jeopardy. Counter-arguments have been made, logic and reason have been championed, meetings have been had and demonstrations have been staged. Still, our Liberal government has even more bad news: they don't care what anyone thinks of the budget. For the sake of clarity, here's a brief primer on the issue. The Film Industry Tax Credit (FITC) was established in 1995 as a refundable credit of 15 percent of film production costs and 30 percent of labour costs. Over the years it has steadily increased, reaching 50 to 65 percent of labour costs in 2010. As the credit has grown, so has the film industry and its contribution to Nova Scotia's economy. The fully refundable credit means that when a production company files its taxes, it is paid back for all of the allowable percentage of its labour costs. This is a huge bargaining tool for any film to be able to find funding, since the production can borrow from investors against this guaranteed return. 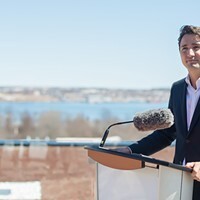 The new Liberal budget has reduced the credit to being only 25 percent refundable, meaning productions will have a much harder time funding their projects and no incentive to film in Nova Scotia rather than Vancouver or Toronto. The remaining 75 percent of the credit is only available to companies who owe taxes in Nova Scotia, which is rare since most productions simply don't generate enough profit to owe the government money. The bottom line is the Liberals want to appear as if they're using fewer taxpayer dollars to fund the film industry while dismissing any notion that there is a net cost to their proposed change. 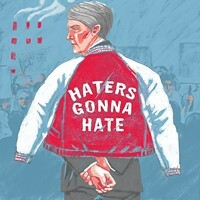 Premier Stephen McNeil, in October of 2013, ran on a platform that included maintaining the tax credit for at least another five years. "We have a strong labour force that is highly skilled in the information technology and digital media," McNeil said that September. "We must exploit this strength by investing in our creative workers and entrepreneurs." He went on to say, in reference to the FITC and another music tax credit that never got off the ground: "Together these measures will create additional growth in important industries in our province. The sound recording, film, and digital media tax credits are a recognition that our path to prosperity lies with the people of this province." Without these measures, the path the prosperity will lead many far away. Funding to the arts is not often an easy sell, and for a government dealing with a $97.6 million deficit, it would appear to some to be an obvious bit of fat to trim. This is aided by the disingenuous manner in which the Liberals have contextualized the cut, which is purposefully misleading and incorrect. Firstly, comparisons have been made between the FITC and other types of tax credits, such as the $22-million credit granted to RBC, whose payouts are typically capped at 8-10 percent of eligible salaries. This comparison is useless and is simply the Liberals' strategy of painting a picture of the film industry as being propped up by a government swimming in debt. To offer some perspective, Ontario has a refundable film industry tax credit of 35-45 percent, depending on shooting location and eligibility for certain bonuses. New York State's credit comes in at 30-35 percent. Even California's tax credit is 20-25 percent, having recently passed a bill to triple its expenditure. Go figure—even Hollywood salaries are offset by taxpayers. "We don't have the capacity to write a blank cheque," Stephen McNeil said last week, indicating he is unable to make the distinction between $24 million and infinity. He also stands firmly by his position that he has not eliminated the tax credit, but has simply changed how it is distributed. As far as the film industry is concerned, the change to the FITC has effectively removed Nova Scotia from the market in a very competitive industry. Even DHX Media, or Decode Halifax Media, a company that owns the Family Channel and three Disney networks—a company that could certainly afford to stay in Halifax—has threatened to leave as a result of the new budget. The FITC isn't just about making an industry possible, but making it competitive. Loyalty isn't enough to keep Nova Scotians home, and the proposed new tax credit is no incentive to bring others in. On Tuesday morning, many people were made hopeful that a change to the budget was possible. 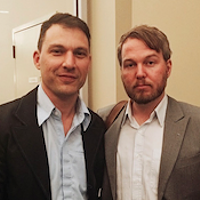 Marc Almon and Scott Simpson of Screen Nova Scotia met with finance minister Diana Whalen and several government officials to plead their case with the hopes of reaching a compromise. The timeline of the changes to the FITC are also of concern, as they are set to take place beginning in July. With film productions already scheduled for this summer, jobs are in immediate danger. "We feel that the tax credit and the system that has been in place for 20 years has worked," Simpson said following Tuesday's meeting. "But we're also open to discussion about ways forward. That has always been our position, but it requires collaboration, it requires consultation, it requires some time." "We felt it was a productive meeting," Almon said Tuesday. "There was some progress made. We agreed that the current tax credit system that has been proposed by the government is not workable." That optimism was diminished later in the day when Whalen offered her perspective on the discussion. "We had a really good meeting this morning and I think a lot was accomplished and it was really important that we had the chance to talk about these details," she said. The FITC "is a mechanism that works for industry, for other businesses, it works for us. 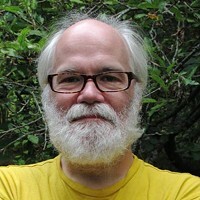 What [Screen Nova Scotia] told us is that it's difficult for them." 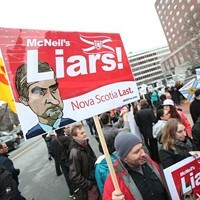 McNeil echoed the sentiment, reiterating that the budget cuts work for the Liberal government, even making comments during Tuesday's question period blaming Darrell Dexter's NDP government for putting Nova Scotia in the fiscal position to have to make such budget cuts. 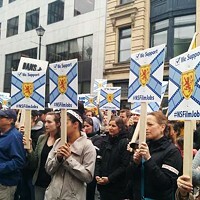 "The current proposal will decimate the film industry in Nova Scotia," Almon said Wednesday, as he prepared for what is likely Halifax's most well-organized public demonstration. "If that's an outcome that works for [the government], that's what will happen." Despite their lukewarm promise of compromise, the Liberals have defended their position and are continuing to characterize the current FITC as a net cost to Nova Scotians. It ought to be clear to even the least economically minded person that this is inaccurate. To say nothing of the cultural capital the film industry brings to the province, it also supports many small businesses, something the budget willfully ignores when calculating the benefits of the tax credit. A film shoot in the province spends money on hotels, restaurants, props and set-building materials, none of which are negligible offshoots of the government's investment in the credit. Artists and technicians bid a sad farewell to Nova Scotia. Hurry up and wait, for NS film industry.